Lumine Shinjuku Tokyo , in which the queue can stretch from Level 2 all the way downstairs. 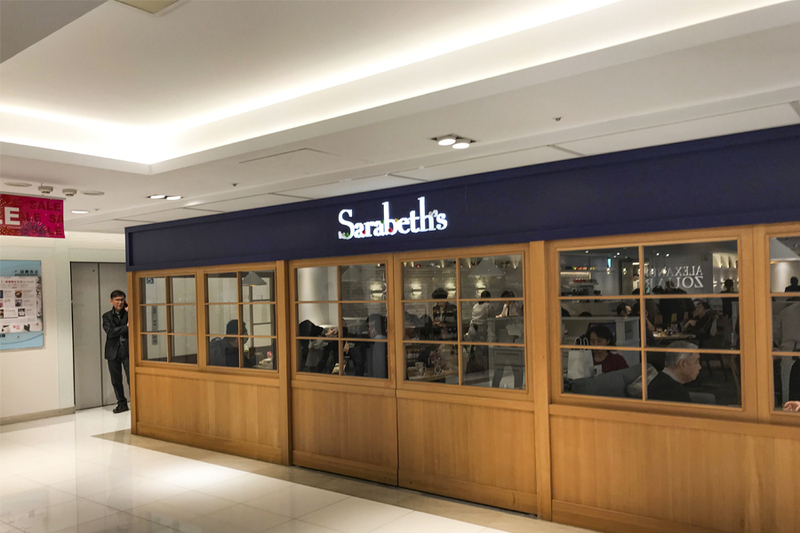 Sarabeth’s in Taipei 紐約早餐女王 is situated in the basement level of the Dunhua Branch of Sogo Department store, right next to the popular Coffee Lover’s Paradise. 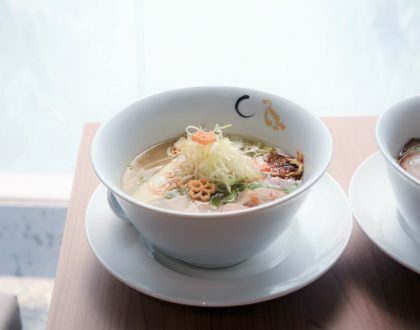 While there are other Asian branches of Sarabeth’s found in Japan and South Korea, this is the first branch of this New York restaurant to open in Taipei. Reservations are recommended. If not, come during off-peak hours. So what’s the fuss? Sarabeth is a restaurateur and winner of the James Beard Foundation’s “Outstanding Pastry Chef of the Year” award. She began her business in 1981 when she was preparing Orange Apricot Marmalade using her family’s unique 200-year-old recipe in her flat in New York. 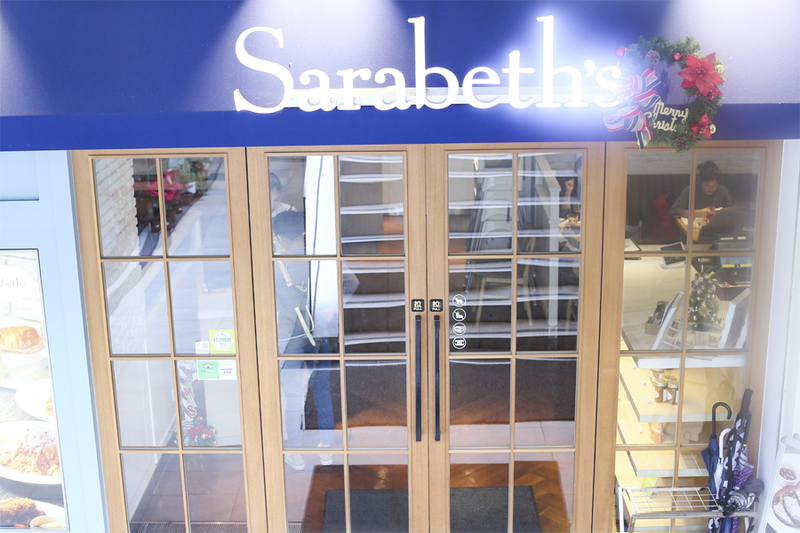 Today, she and her husband have a 4400 square foot wholesale bakery, a jam manufacturing facility, and a retail shop in Manhattan, 16 Sarabeth’s restaurants (and counting) which are located throughout the world. 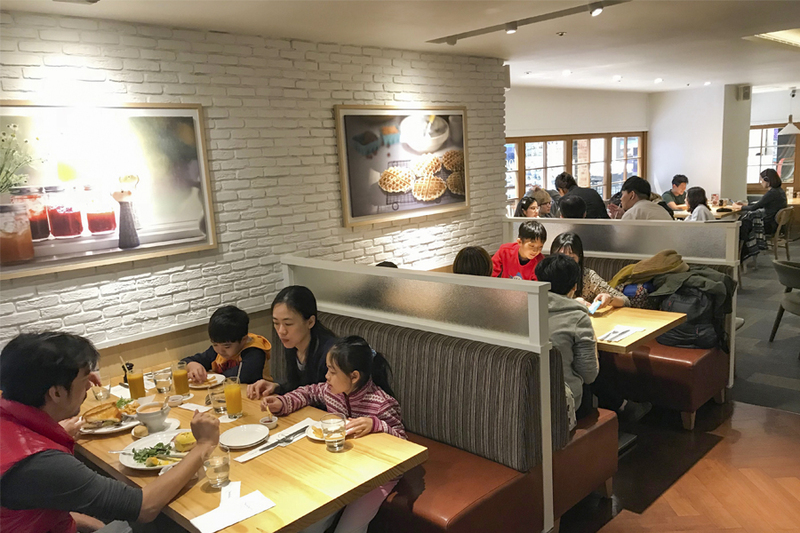 Unlike their original restaurant in New York that has lots of windows and plenty of natural light, Sarabeth’s in Taipei is kind of dark due to its location in the basement. Some of tables could be too close together. 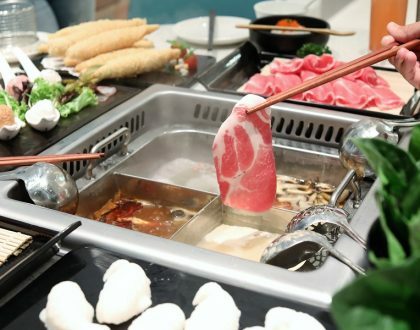 Service staff looked hurried, though remained professional and polite. 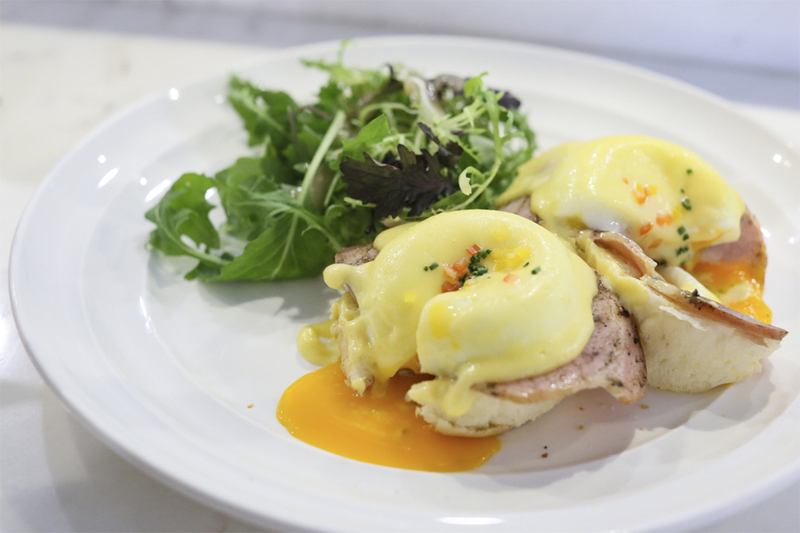 The menu is lined with classic brunch items. 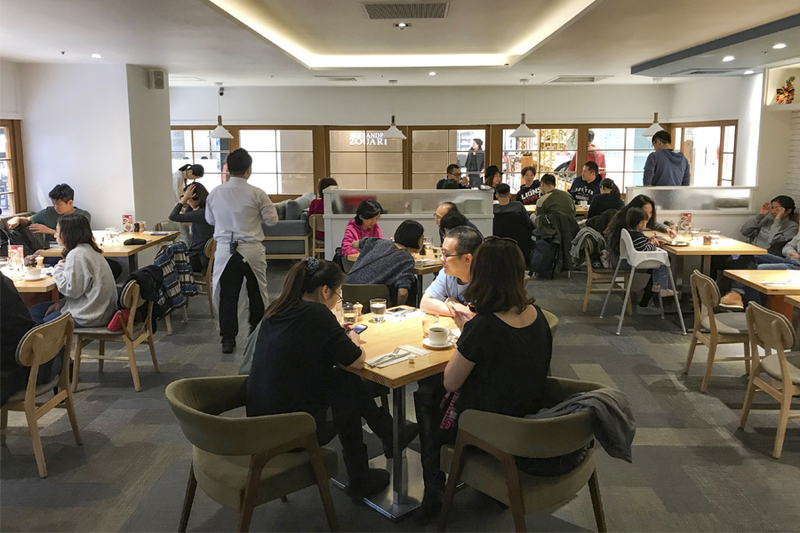 Under “Extraordinary Eggs & Omelettes”, items offered included Classic Eggs Benedict (NT$360), Smoked Salmon Eggs Benedict (NT$380), Goldie Lox (NT$460), The Red Omelette (NT$420), Chilli Jalapeno Omelette (NT$460), Spinach Gruyere Cheese Egg White Omelette (NT$460) and Vegetable-Ricotta Frittata (NT$460). 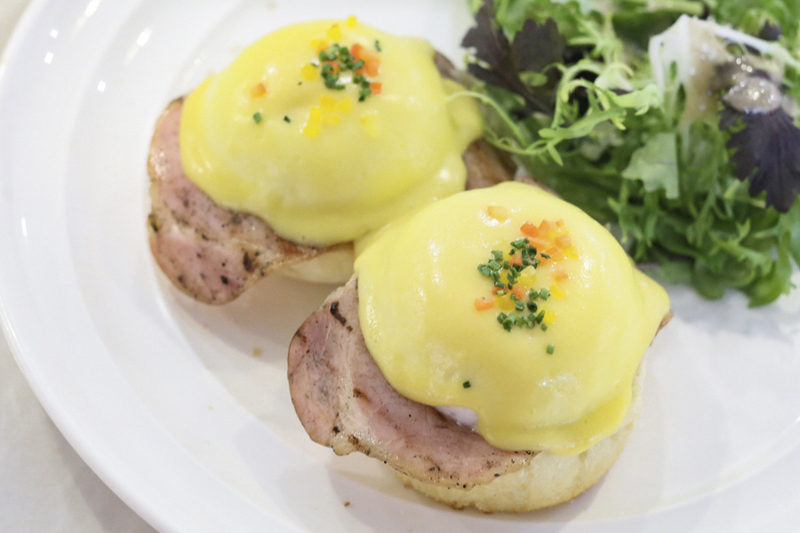 I ordered the Classic Eggs Benedict (NT$360, SGD$16), served with ham and muffin. The eggs were good and not exceptional. 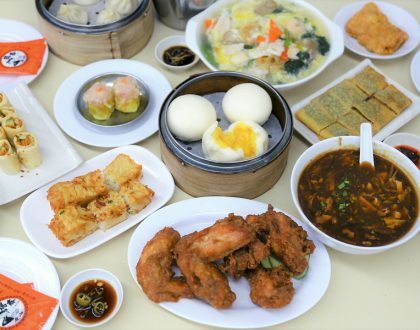 Plump eggs, fluffy muffin, but nothing beyond that to bring it to the next level. To be honest, I was slightly disappointed as I was expecting more from the hype. 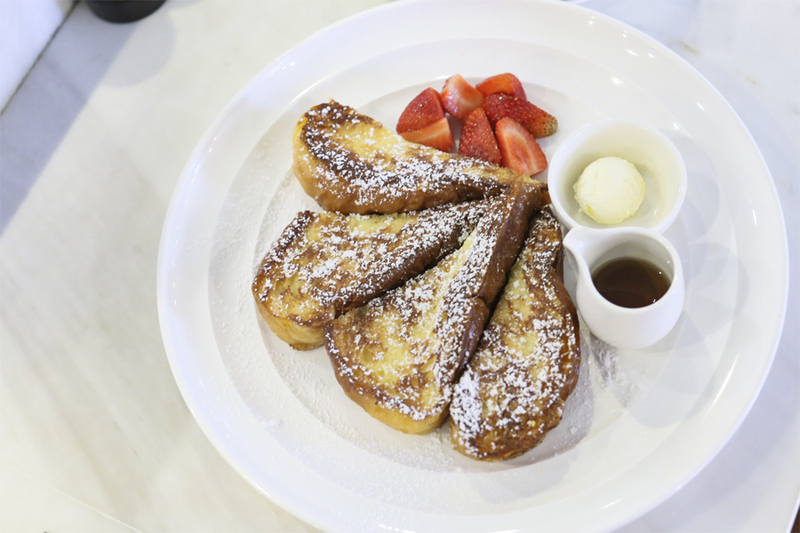 For a “Sweet Breakfast”, you can go for the Apple and Cinnamon French Toast (NT$480), Lemon and Ricotta Pancakes (NT$480), Buttermilk Pancakes (NT$460), and Pumpkin Waffle (NT$46). 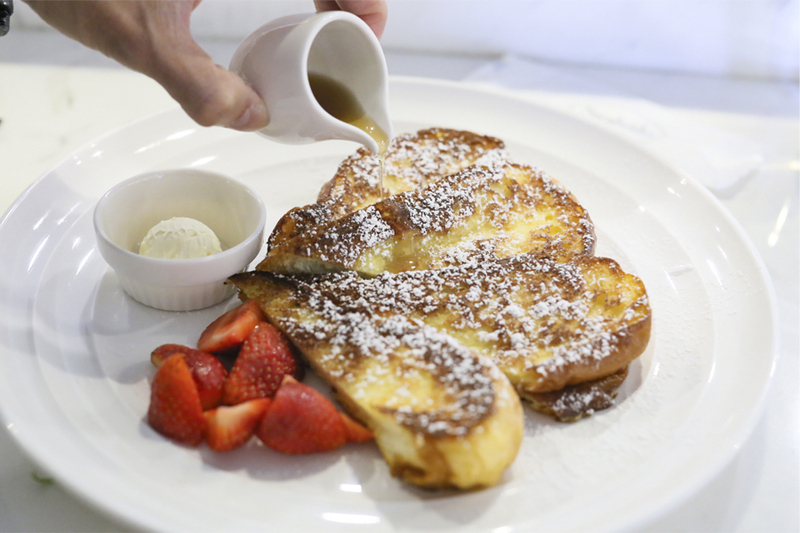 I needed to try the signature Fat and Fluffy French Toast (NT$480, SGD$21.45). Though it looked simple and ordinary, it was va va voom one of the best (maybe the best) French Toast I had. Fluffy, almost creamy inside, with sweet tangy strawberries. This is one of those cases I felt I didn’t need to add too much of the maple syrup, just to enjoy the bread on its own. 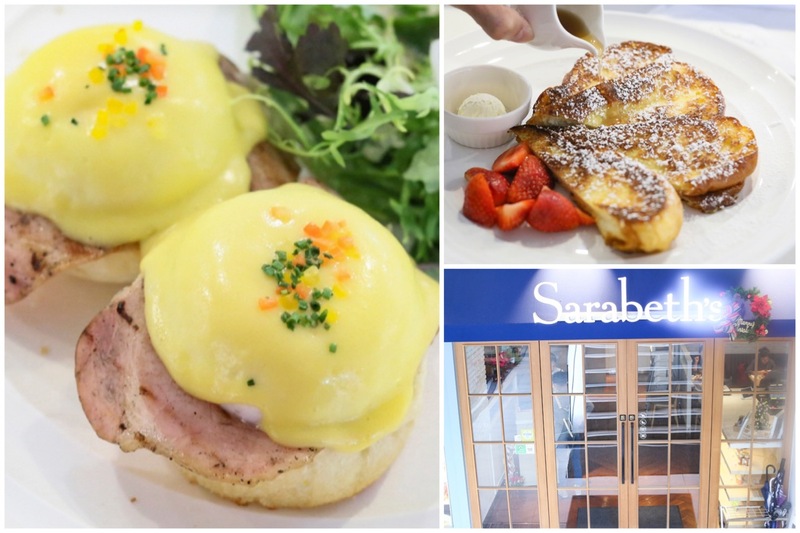 Reviews state that Sarabeth’s Fat and Fluffy French Toast and Buttermilk Pancakes are some of the best brunch options in Taipei city.